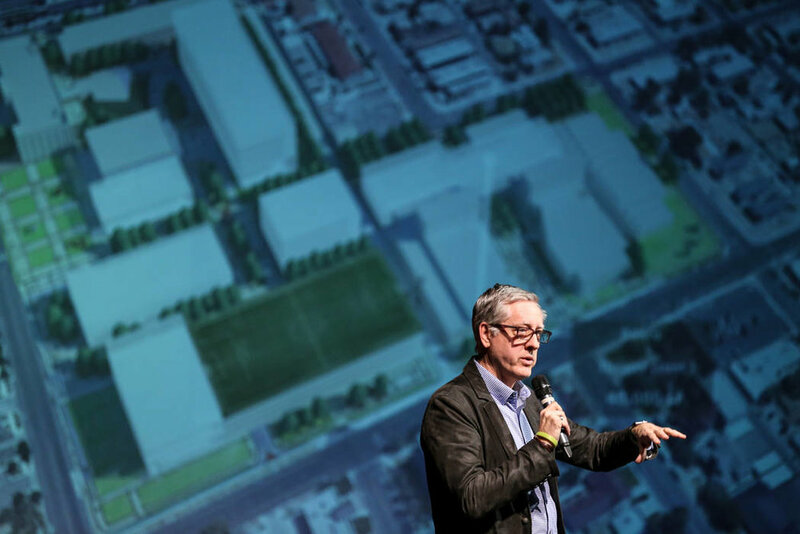 Three local architectural firms presented their ideas Thursday night for a reimagined Las Vegas Academy campus in a process that officials say is just beginning. Volcano Vista gives a distinct nod to its unique landscape within its name but the landscape is also intertwined into its design with earth-toned colors and sharp, slanted angles. It's a design that was recognized by New York-based Architectural Digest as one of the "most beautiful public high schools" in America. The magazine chose a school from each state and Volcano Vista, located at 8100 Rainbow Road in Albuquerque, was the representative for New Mexico. "Volcano Vista is housed in a modern building, and it’s also a young school, founded in 2007. A rust-colored obelisk guards the entrance to the school, which is painted in earthy tones," wrote AD. The masterminds behind the school were Albuquerque-based SMPC Architects and Nevada-based Tate Snyder Kimsey Architects.